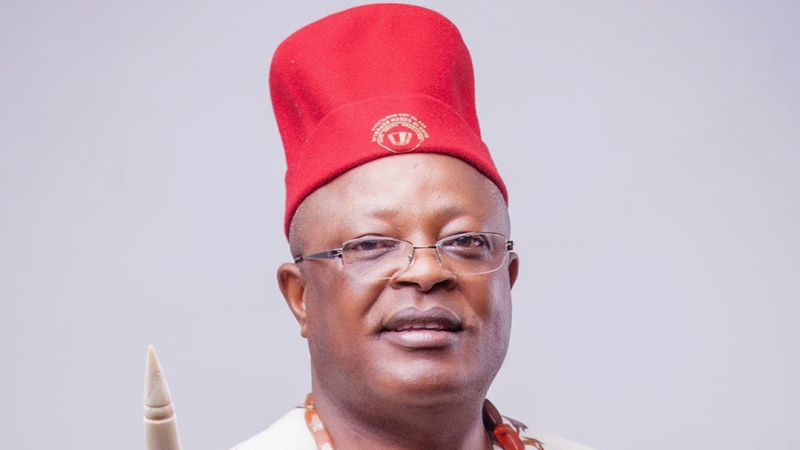 Re-elected governor of Ebonyi State, Dave Umahi, in this interview with Southeast Bureau Chief, LAWRENCE NJOKU, speaks on his experience in the last four years, his second term focus among other national issues. How did you see governance in the last four years? Governance is a subject that needed not just be discussed. A book should be written about it. We have some intrigues in governance. There are three sets of leaders that come to governance. There are people that want to come to governance as a means of livelihood, their commitment and performance and the way they show governance is very different. It is all about the flamboyancy of it, it is about the acquisition mentality. There are people that come to governance because of what they may term the prestige of such offices and so, you don’t see much from them either; because whatever that pushes you into it will be your focus. There are some that prepared for governance and so they have been able, overtime to understudy the place, they have been able to understand the techniques, understudy the people. The most cardinal aspect of governance is to understudy the people you are going to govern. So governance is quite tasking and sometimes people think that Ebonyi State is easy to rule, but I tell you that it is the most difficult state to rule. There are many reasons for this. It is not a thing of joy in terms of the stress involved, the thankless nature of the job. But it is quite interesting if you see the number of things God has been able to help you achieve and it is also quite interesting when you see that the people are happy and that you are meeting their expectations. You cannot meet the expectations of everybody though. How do you see the next four years? There is no break for me. The same God that brought us in four years ago is the same God that has brought us back again. Though we sought for reelection, we asked God that brought us to do it again so that people will know that the first was not a mistake and He has done it. Our focus is on health, on education. On health we are going to build a teaching hospital and it is going to be world class – the best in the whole of Nigeria. We intend to build airport in Ebonyi State because it is going to assist us and it is going to have a lot of customers. We are putting international Stadium in the state, because we want Ebonyi to be selected to host international competitions. We are dualizing from Abakaliki to Afikpo and Abakaliki to Enugu. We are going to dot a lot of locations with flyover to beautify Ebonyi State. Then, most importantly; empowerment of the people. There is this song they use to sing, “When you meet Dave, you meet money”. I have changed it to “When you meet Dave, you meet work and when you do that work, you meet money”. This is the focus and that is making people not to look for cheap money. Let everybody begin to work. So we are going to do a lot on empowerment and building industrial clusters in the 13 local government areas. We are also going to look deeply into mechanized agriculture and solid minerals. These will be the focus and the people will be number one. My second tenure started on Sunday, March 10 and of course before the second tenure started, we have already started our second tenure projects. There is nothing to rest about. This is the calling. As chairman of Southeast governors forum, what economic blueprint would you pursue jointly, especially with your party, PDP winning additional state in the zone? For me, what the Igbos should seek is not projects in the first instance. They should seek cooperation. Nothing can be done, unless two agree. In terms of projects, we have indices of a number of projects like the railway, integration of power, integration of roads and of course security and health. We said we would build one gigantic health hospital in Enugu State, which we are pursuing. But in the absence of cooperation, in the absence of love, in the absence of vision, there is not much that can be achieved. So, what we are doing is to see how we can pamper everybody to be on the same page so as to have a common vision. Like I said, a lot of people come to governance with different mindset and different vision and until we all come to the same vision, it will not be easy. We must listen to God and know what the people want, because as you do the bidding of the people, you are doing the bidding of God and that is the most important thing. We need to have a common vision, which are the people. How do we lift our people? How do we make our people that are in Lagos come home; give them a good economic environment for their businesses to thrive, this will be the focus. I believe strongly that with Emeka Ihedioha coming in, it will be smoother and better, because he has also very good experience. There are strong hints that you are perfecting plans to join APC to fulfill your underhand deals with the president. How true is this? I never had a deal with anybody. I have sense of my own. But what I said all along, I campaigned for Atiku and I stood for Atiku. But I kept saying that the president is my friend. He is not a political friend. He is my boss and that I was not going to castigate him and nobody from Ebonyi will castigate him, even his party we did not castigate when we were running. It is only the cockroach that ran against me that was worrying us but because of the respect for the president, we did not castigate the APC. This is very important. Now it is the same Ogbuoji that is afraid of himself and his shadows that is castigating us. He is afraid that if I come into APC, I will displace him. Tell me should my coming into APC not be a plus for the party? Why is he worried about my coming into APC? The important thing is that, I don’t move unless God asked me to move and God would have brought me to governance through APC but he never did. So I am still a PDP member. I never thought of leaving PDP. I never contemplated leaving PDP, but he is afraid that if I come into APC he is finished. But he is finished already because he has no future at all. I told him when I was campaigning that he will never be governor all his life. I am still very busy with my projects and he is talking about jumping into APC. I want to say that those that jump from one party to another have no integrity. Whatever God wants to make you, he can make you and it does not matter where you are or the political party you belong. So many projects are going on simultaneously, how do you grapple with funding, especially given the economic crunch in the country? My money comes from God. That is why I said the passion for the people. Last October/December, we published most of our projects. We attached cost to the projects and so on, we did that so that nobody will try to get documents to write petition. So all the costs and volume of projects are all there for anybody to see and write petition. What I tell you is that Nigeria is the only country where you make most profit in contracts. There is something wrong with our procurements. We are being ripped off in terms of how much we give out to contractors. I know contractors don’t like me much because you don’t make more than ten percent profit in my projects and that is how it is supposed to be and the quality is also excellent. In developed countries, you don’t make more than five percent profit. When I was a contractor, I made 100 percent profit and it is happening all over the country. But unfortunately for the contractors, I know what they know as a contractor. I have been a contractor and I have been in the field before coming on board. So it is a combination of the grace of God, passion for the people, honesty and integrity, coupled to the wisdom of God and experience of about 35 years in the field. So far how many projects have you completed from the ones you inherited from your predecessors? I am not sure I inherited any uncompleted projects in the real sense of it because there were certain things you inherit and you don’t know whether to drop them or take them up. For example the international market it was built about fifty percent, but the people wouldn’t take them. The rooms are like match boxes. So nobody can exist in those tiny rooms. There was nothing international about it even though billions of naira was sunk into it. That kind of thing, you wouldn’t force people into it. So what we did was of the three lots, we took one lot and we decided to make that one lot international market and if you go there, you will see really that it is international market. I can bet you that it is the most beautiful international market in the country. We have achieved about 90 percent completion. That is one; then the secretariat is like cartons. They are like cartons that the outsides are painted, there is nothing inside and so I have plans of remodeling those buildings. I am not happy about it. The compound is not ideal and so we are going to work on that. You have the trade tower at the Presco junction started by the Sam Egwu administration. We have done integrity test on that and it failed integrity test. So I would not want to complete it to put the children in danger because my own children will not go there. So we are thinking of what to do but God has given me enough courage and one day I will pull it down, when I must have called elders meeting. So it is better for it to be down and something else built on it than for it to be finished and people will die under it. Then the Ebonyi hotel; the past administration spent so much money on it but I think that hotel is not functional at all. So we have been thinking what to do with it. We have even asked people to come and take it, complete it and run free of charge but nobody has come. So we are now thinking of turning it into accommodation for students of the Ebonyi State University. The rest are the roads that were built that collapsed even while the administration that built them was still in power. Among the various projects you embarked upon so far, which one is most dear to you? The one that is most dear to me, number one is the empowerment of widows. This aspect of going from hospital to hospital, paying for indigent people that would have been treated, but never had money to be discharged, given them gifts is very dear to me. The money we give to religious leaders to locate the poorest of the poor, to assist in the payment of their children’s school fees, taking them to hospital and food for them. These we do on monthly basis. It is very dear to my heart. The ability God gave to us in bringing young people to governance. We are rated as number one in terms of bringing youths to governance, because the future belongs to them and I feel happy about it. I feel happy about empowering the youths, whereby they would be removed from the streets and they came here got some money and doing a different thing all together. It is a good story for me. I feel very happy about it. I feel very happy about when the gospel of our Lord Jesus Christ is given freedom to thrive in Ebonyi unlike in the immediate past administration, I feel very happy about it. These are the legacies I think that impresses me so much. The Ebonyi ring road project, what has happened to it? The ring road is 199 kilometers, but we have taken 25 kilometers of it and out of the 25; we have been able to do 24 remaining just one. We have about 174 kilometers to do. 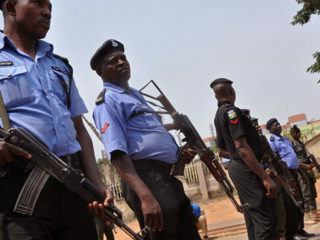 There were two factors militating against the takeoff of the road, one was that some of the leaders that jumped into the APC felt that, doing that project would bury them politically forever. But that is just little. I have done more than 1000 kilometers of road since I came on board and, so doing 174 has no meaning. They also thought the money was going to come into our state treasury but that is not true. It is going to go into the African Development Bank and they will be paying contractors directly and it is international bidding. They felt so and took us to court and the unfortunate thing is that the people that took us to court were the people that the road runs in front of their homes; people that cannot go back to their homes but because of the so called dirty politics and dirty minds, they took us to court. We spent some millions paying lawyers; we brought about five SANs, paying them to go to court to show the importance of that road to me. So we battled them in court and just last month, the court dismissed their suit and said it was the most stupid thing for them to do. Moreover God is on our side, we have wrapped up and we have applied for advanced procurement, which has been granted us and so we expect to be on ground by April. Another problem is that they want us to use Asphalt. I have had very good experience about the use of Asphalt in Ebonyi. Our soil has a lot of clay and so water does not peculate to the ground vertically but it does that laterally. And when it does laterally, the moment the water gets to the asphalt, the asphalt will fail. That is why there is no road that will be done in the southeast with asphalt that will last up to three years without failing. We came up with a solution, through God’s grace and wisdom with the use of concrete of eight inches thickness and that is what we are using in about 95 percent of our roads. We insisted that the design must change to concrete and it became a battle and we have been able to prove that we won’t do anything without the use of concrete. And I said most importantly that I don’t want to leave a burden for my children and grand children because by the time this loan is repaid, maybe I would have been very much younger and they would say to my children and grand children, it is your father that built that road and it failed and we are repaying the loan. So I made it very clear that without concrete I won’t build and I think they have accepted that and if we do that road with concrete, for more than fifty to seventy years, you won’t maintain it. I think it is a success and I thank God sincerely for that. I am excited about that because it happened in my time. What is happening with the Nigercem at Nkalagu? 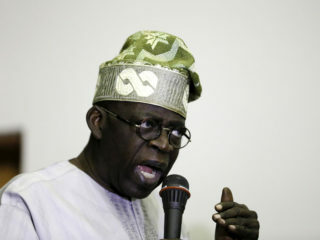 Nigercem will soon happen. Ibeto is the owner of Nigercem. Ebonyi State government commands only ten percent share. Ibeto is already fabricating the equipment for Nigercem and I believe strongly that in 2019, we should be able to expect the equipment on site. What gives you joy and confidence to carry on inspite of the tasking nature of the office? The point is that all that I have done in the past years is to have passion for the people; passion for the development of the state and the rest is in the hands of God. It is God that has done all these things. I cannot say that I have met the expectations of my people in full; but there are a number of basic expectations from the people or from their leaders and I think through the special grace of God, some of those expectations are in their place and I want to also thank them very much. I can say that I was returned unopposed because the class difference during the election is so evident. I feel so sad that I should have been given a heavyweight to battle with; I feel bad when you bring on somebody who has no yesterday, just all he has is ‘I will write result, I will write result’. I am sure you have watched heavyweights fighting, sometimes you bring featherweights before them and they get very angry and deal decisively with the person. That is exactly what God did to the so-called opponent and of course he was not contesting. But he contested anyway..
What kind of relationship do you (governors) enjoy with Ohanaeze as a socio-cultural organization, going by the dust raised recently over the endorsement of a presidential candidate? not play our role. When they were going for such a meeting they did not tell us because they are leaders of Igboland that are in PDP; there are also leaders of Igboland that are in APC. That endorsement amounted to nothing. That endorsement did not make any impact. It is the political leaders, their decision and opinion that do make impact but what Ohanaeze succeeded in doing is to make it look as if the Igbo people are against the president, which shouldn’t be. So I objected because I didn’t know they were going to do any endorsement. I said no that the president was coming to Southeast and would be commissioning the Azikiwe Mausoleum and it is not good that meeting of Imeobi will be going on where the governors are involved and some leaders of the APC. So your meeting is like shutting them out of the meeting. If they had told us about the endorsement, we would have said no, don’t endorse. Ebonyi State campaigned for Atiku, the entire Southeast states were campaigning for Atiku, so what was the essence of the endorsement? But, I was also in support that the Igbo people should give President Buhari the 25percent votes, because anybody that scores 75percent is also an excellent result. I said so not because Buhari was going to win in the Southeast; but we want to eliminate that illusion that Igbo doesn’t love Buhari. That is all that I wanted us to erase. Nobody was going to manipulate it. I heard when the elections were going on they were saying that the people of the southeast were manipulating results for the president. How were they manipulating results for the president? I told people that they should understand that the election in the Southeast was not between Buhari and Atiku. That was the same thing in the last gubernatorial election, without the House of Assembly people in Ebonyi state, my opponent Ogbuoji will not get up to 1000 votes. He has no house in Abakaliki. He lives in Enugu State. That is the issue. So when people talk about Ohanaeze, we didn’t support it but that has not put us at crossroads. We still relate but we will like them to understand their limits. They are cultural leaders and we are political leaders and so if we want to take a decision for Igbo people, we must come together. There must be a mixture of politics and culture and that is when Igbo people must have spoken. 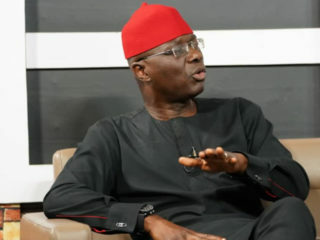 Ohananeze will not speak for Ndigbo in terms of political decisions and the governors will not speak for Ndigbo in terms of cultural decisions. So they must come together. They didn’t behave well. They behaved as if they were on their own. But I said there is nothing to worry about; we will continue to manage ourselves well.